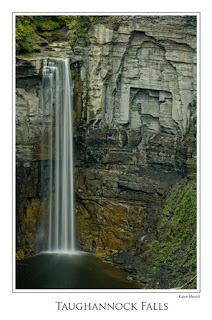 I was thinking about doing a Fall Wine and Waterfalls tour October 6, 7, and 8 2010, in the Finger Lakes Region... for $595.00 per person. 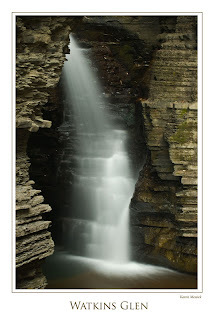 Shoot the waterfalls in Watkins Glenn, make a day trip to Taughannock State Park for some shooting and the falls, Head to Buttermilk State Park for some more hiking and falls. Shoot some old barns and wineries. Enjoy some wine Tastings along the Seneca Lake Wine Trail, and the Cayuga Lake Wine Trail. Dine at Suzanne's Gourmet Restaurant, The Red Knute and lodge at The Fox and The Grapes, in Lodi. While there you may see the Amish working in their fields and visit the Amish market, or make a shopping trip to downtown Watkins Glen. One morning we can shoot the abandoned antique store just down the lane from The Fox and The Grapes. 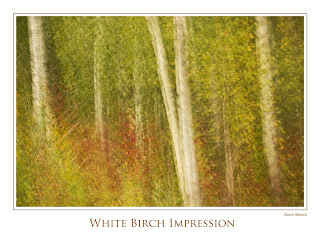 Capture the fall beauty of the birch in the Finger Lakes National Forest. Learn shooting tips in the field. You would certainly take home some great wine, lots of images and fun memories....Its only five hours travel from Baltimore. What do you think? Might there be any takers? Lodging is not included. We could accommodate six couples, at the B & B. Jim Pelligrini, the owner, is an exceptional host and prepares one heck of a breakfast, oh and did I mention he is an officiant, in case anyone wants to elope? If we get more than six couples Jim will find lodging close by at another B&B. Twelve Photo Participants Max, no fee for no-participating spouses or friends. So let me know if anyone out there would sign up for this tour.